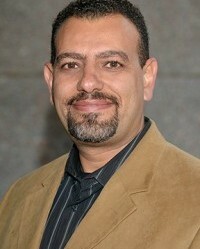 Dr. Nehad Soloman is a graduate of Stony Brook Medical School. He completed his residency in internal medicine and subsequent fellowship in rheumatology in the Stony Brook System at Winthrop University Hospital. He is board certified in internal medicine and rheumatology. Dr. Soloman has been a recipient of multiple awards for research and academic excellence during his career. He also achieved the highest honor of the “Fellow of the Year” for outstanding performance and dedication to patient care upon graduation. He has published numerous journal articles and is a co-author in the “Sjogren’s Syndrome Handbook”. He continues to reach out to the community via public speaking through the Arthritis Foundation. His dedication to teaching the future physicians of the valley is ongoing, with his affiliation to Midwestern University, Arizona College of Osteopathic Medicine. In 2014, he was given the distinction of honor as “medical honoree” by the Arthritis Foundation at the National Arthritis Walk for a Cure. In 2015 and 2018 he was voted “Phoenix Top Doc” by his peers and has been awarded the “patient choice” award yearly since 2008. He was most recently recognized for his compassion towards patients and granted the “Compassionate doctor” award 8 years consecutively. 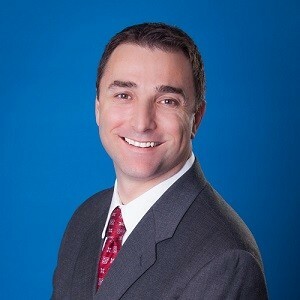 Dr. Soloman currently engages in cutting edge research is a certified Principal investigator through the ARCP and continues his excellent care as a staff physician at Arizona Arthritis and Rheumatology Associates. Kostas Economopoulos, M.D. joined The Orthopedic Clinic Association (TOCA) in August of 2013 as an Orthopedic Surgeon. Dr. Economopoulos is fellowship trained in sports medicine, knee, shoulder and hip arthroscopy. He is a team orthopaedic consultant for Arizona State University, Grand Canyon University, and OTTAWA University, respectively. Dr. Economopoulos participates in sideline management treating on-field injuries and seeing the athletes in the training rooms. Born and raised in Phoenix, he attended Brophy College Preparatory. He went on to complete his undergraduate degree and medical school at the University of Arizona. Returning to Phoenix, he completed his residency in orthopaedic surgery at Banner Good Samaritan Medical Center. Following his training in Phoenix, he spent a year as a sports medicine fellow at the University of Virginia specializing in shoulder and knee arthroscopy under the guidance of internationally known surgeons Mark Miller and David Diduch. He completed his training with a 6-month hip arthroscopy fellowship in Melbourne, Australia with John O’Donnell. Dr. Economopoulos is one of few orthopaedic surgeons in the United States to complete a concentrated fellowship in hip arthroscopy and the treatment of femoroacetabular impingement (FAI) and labral tears. Dr. Economopoulos’ clinical interests include sports injuries and arthroscopic treatment of knee, hip and shoulder injuries. He has special interest in the treatment of hip injuries in the young athlete and specializes in the arthroscopic treatment of FAI and labral tears of the hip and open repairs of hamstring tears. Dr. Economopoulos has published multiple papers and book chapters on the topics of hip, knee and shoulder disorders in athletes and has presented his research at both national and international sports conferences. He is a member of the American Academy of Orthopaedic Surgeons, American Orthopaedic Society for Sports Medicine, Arthroscopy Association of North America and the International Society for Hip Arthroscopy. 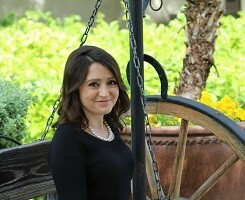 In 1985, Erica was about to celebrate her first birthday, and was diagnosed with Juvenile Rheumatoid Arthritis. She does not know life without this disease. She makes the most of each day and rises above her situation. Erica is a leader in the Financial Industry, and a new Author sharing her health journey to inspire others. At 16 months old Brianna was diagnosed with Juvenile Idiopathic Arthritis. Her toes, knees, ankles, fingers and wrists were all swollen and she stopped walking. At age 2, Brianna got Uveitis in her eyes and had a cataract removed from her left eye. Brianna has been an All-Star Cheerleader for 5 years and the last 3 years she’s been a flyer with the California All Stars. She enjoys cheer, riding quads, boating at the lake, camping and hiking. She is also the 2019 USA National Miss Arizona Pre-Teen Peoria and will be competing in February to be Miss Pre-Teen Arizona. She also started Bri’s Believers. They make blankets for kids going through chemo and getting infusions at Phoenix Children’s Hospital. She also spreads positivity and anti-bullying messages. Brianna wants to become a Rheumatologist and help kids just like her.